Zootopia, a city made and maintained by mammals, has always been a dream destination for Judy Hopps (Goodwin), a rabbit living in the suburbs. When she finally gets a chance to move therea��owing to her job as a copa��she learns that it isna��t as rosy as shea��d imagined. While being constantly bullied by co-workers and citizens alike, Hopps comes across a mysterious substance that is turning peace-loving mammals into feral monsters. 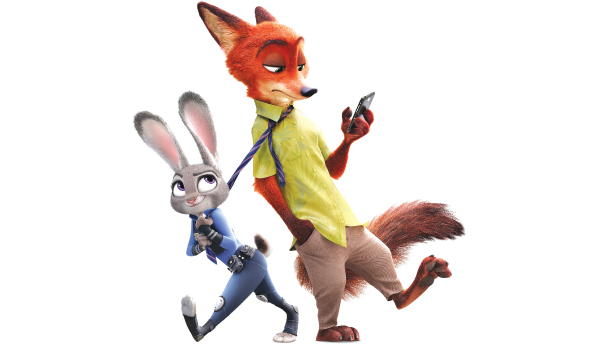 With her hostile superior, Bogo (Elba), bent on getting rid of her, Hopps must find the truth with the help of Nick Wilde (Bateman), a cynical fox. Zootopia is 55th among Walt Disney Animation Studiosa�� feature films. Coming from an affluent background, Ram (Taurani), a youngster who has just returned from Australia, knows nothing about the hardships of life. When he falls in love with Sona (Haasan), things become complicated as her brother, Raghuveer (Sood), doesna��t approve of their relationship. According to Raghuveer, Ram must first prove himself capable of hard work. So he is asked to work on a section of the farmland and harvest a bigger crop than Raghuveer by the end of the season. Ram accepts the challenge, but soon realises that farming is no childa��s play. Ramaiya Vastavaiya is the remake of Telugu blockbuster, Nuvvostanante Nenoddantana. The third instalment in the 1920 film franchise, this film has Shivangi (Chopra), a member of a Rajasthani royal household, as one of its main protagonists. Currently living in London with her husband, Kunwar Veer Singh (Karwal), Shivangia��s life takes a darker turn when Singh becomes extremely ill with a mysterious ailment. With the symptoms being indicative of black magic, she comes to India to find a cure. But when faced with the tantrik Jai Singh Gujjar (Joshi), she hesitates as her past with Gujjar catches up. Vishal Karwal got his silver screen ticket by winning the first season of MTVa��s Splitsvilla. When Indiaa��s top cricketer, Viraj Sharma, goes missing during a tournament in the Middle East, a special team is created to find him. Having assigned the task to IPS officer Kabir Shergill (Abraham), the government does its best to keep the news away from the media. Once in UAE, Shergill is joined by Junaid Ansari (Dhawan), an Emirati police officer, who is ordered to provide assistance on ground. However, Ansari and Shergill dona��t get along. Will they be able to put their differences aside and focus on the case? Dishoom sees Akshaye Khanna returning to the screen after a four-year hiatus. Zee Studio, 9 pm ? This futuristic Japanese film is set in an era when mankind has to live inside a secure facility to protect themselves from mysterious creatures called the Titans, who invaded them a century back. But young Eren Yeager (Miura) and his friends yearn to see what lies beyond. After several failed attempts to cross the wall, they learn that the only way to go outside is to join the Scouting Regiment, a special combat force trained to fight the Titans. So Yeager, Armin Arlert (Hongo) and Sasha Braus (Sakuraba) train hard and entre the regimenta��only to find there is more to the Titans than meets the eye. The film is based on an anime series by the same name, created by Hajime Isayama. Cast: Liam Neeson, Julianne Moore, Scoot McNairy When air marshal Bill Marks (Neeson) boards a plane from New York to London, he has no idea that the journey will test his professional skills. From an anonymous text message on his secured phone, demanding $150 million, to passengers dying mysteriously every 20 minutes, chaos reigns as he tries to find the perpetrator among the passengers. Things get worse when Marks himself is implicated as a suspect, with a bank account in his name receiving the money meant for the mysterious hijacker. The crew had to build a higher set of the plane than usual due to Liam Neesona��s towering physique.